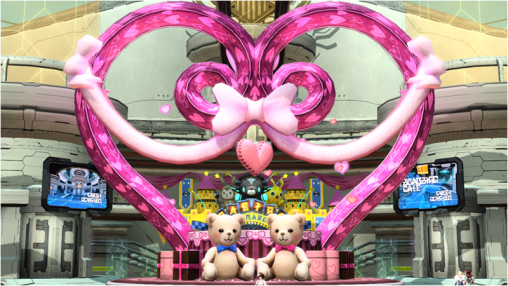 The Valentine’s Event begins after this maintenance, bringing with it a themed lobby, bingo, and emergency quest! The OTP connection issue occurring earlier today has been resolved. They plan to announce some form of compensation in the future. Details will be revealed at a later time. 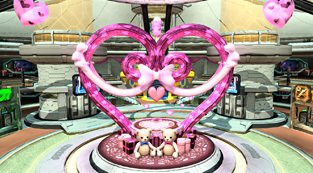 [PSO] 15th Anniversary Project [ARKS Caravan] details revealed. 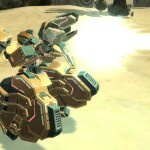 PSO2 Campaign information and Collaboration details. Some of the drop rates settings for Magatsu have been made in error, resulting in ★10+ items dropping at a high rate on certain difficulties. Since this bug is likely to affect the game’s balance and economy, the development team has decided upon the following action. On January 28th, the following changes will occur for Magatsu’s drop rates. ★10 and higher items will no longer drop on [Normal] and [Hard] difficulties. ★10 and ★11 items will have reduced drop rates on [Very Hard]. ★12 items and [Ash Shiva Stones] will have buffed drop rates on [Extra Hard]. Drop rates for other items not described above will remain the same. Lead Border Breaker and Cradle of Darkness will now support Extra Hard difficulty! Added boost items like “Quna’s Chocolate,” that feature an expiration date. The player will not be able to activate this item from the item pack/sub-palette after the expiration date passes. Corrected a bug where Magatsu was given incorrect drop rate values for certain difficulties. Objective: Complete the [Protect the Naura Cake Shop!] Emergency Trial. Note: Drops from Pitta Wadda and Parata Picoda. 届け！このアツい想い！ / Hunk of Burnin’ Love! Complete the qualifying client orders issued by Xie and Revelle to receive prizes at the Visiphone! yeah, im not yet done feeding my new mag. i need those photon sphere trades. It’s SEGA after all. They may nerf SH drop rate too someday. SH also give tons of excubes fodd. too with ppl finishing the quest before the 1st sealing cannon phase starts, without that chain combo. first they buff magatsu’s drops so he’s actually worth fighting, then they ban people for being good at it(talking about the groups who got B& without chain/banish), and now they nerf the drops. what’s funny is they think that having semi-decent weapons available at lower level is bad for balance and economy. and those 10*s aren’t even -good- 10*s. so their prices on the market are stupidly low even without magatsu, moreso because of the paywall on buying 10* items. and… more stones on XH… when you already outclass anything you can make with shiva stones. sega really doesn’t understand what they’re doing. and don’t forget, the drop system pulls from the table for a given level range, plus the two tables below it. so if H and VH are nerfed, SH gets nerfed by extension. and of course, the drop rates on 11*+ weapons are so poor that without magatsu being an excube piniata(sic), it’s hardly worth dealing with him. since sega’s already got it in their pea-brain to do this, it can’t be helped… can it? Meanwhile, all other bosses that can one shot you (looking at you Dark HAX Loser) and need 30 mins in preparation to only face em ONCE give 12k meseta and 4 cubes tops if you´re lucky enough, whats worth fighting those once sega? Not even their minions (hands and doritos) drop worthy crap (by worthy i mean cubes, not op 10s just crap you cant excube and nobody wants/needs to equip). Pft don’t know how that exploit could hurt the economy my whole team just cubes or spheres all of the 10* we get from VH Magatsu. People were creating MPAs just so they could get as many 10* as possible in VH just so they could turn around and cube/sphere them. Managed to get 131 cubes last time I did the EQ. You Sega you are the one that is going to screw up the market not us. Because one of the rewards you have in the event for us is a discount in the recycle shop, 20% in fact. So what did you add to the recycle shop recently? The ability to turn in 10 10* at a time for 10 excubes with that 20% reduction now we turn in 8 for 10. I already have team members who are preparing for that!!! Oh well back to doing nothing whenever Magatsu shows up. 131 x 43k = 5.6mil. Pretty significant for only VH. that excube exchange wont be affected.10 for 10. itl stay 10 during rewards. Which means it would die in 3 mins in sh, which also means i run it 3 times sh the time it takes 1 in xh, which in time means 3x the chance of cube-able 10*s. Its not the trouble of running xh, people can run it, its the efectiveness of milking the most of the eq for the duration, if i get more rewards time wise in the lower tier i would spam it too. Sorry to be out of your subject just now. I have a question about IP an connexion. Since three weeks, my ISP took some measures that changes the IP adress every tuesday (They never do it before). The problem is that, after this IP changing, I can play the day of changing and one or two hours the next day and after that, the servers don’t even recognize everything and I’m back whith the sucking Error 249 (Who doesn’t hate you, Error 249?). The only fhing to do then is to reset my Internet Box to get a new adress. Dot that doing it is a real problem, the question is: Is this “dangerous” or likely to be banned for “numerous IP changing” (Like three different adresses in the same week… Or two, if I stop playing two days in a week, time to wait it changes by itself, then resetting)? I personnaly don’t think it can be dangerous, since some Internet Providers do that since al ong time, and I’m sure it happens even in Japan, but I just wanted to have some opinions and thoughts about it (Especially if it happens to someone else here). Most probably no. 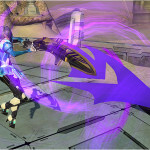 Back then when PSO2 Proxy didn’t exist yet, we were using VPN and mostly was using a different IP Everyday, I even have to check my email everyday to get the confirmation code from Sega so i could Log in. It means Sega don’t give a damn about IP and stuffs, They usually only ban people who cheats ingame. don’t worry. sega only trackib ug the mac address of the device of the w/e u use. as for isp changong your ip…that soubds like your on DHCP whoch basically is a dynamic isp. log into your routee settings and change it from dynamic to statoc. ybh tho… tgis is just to comforr t u,as isp changes have no actual bearinf. its possible ststem wull flag u if u go from one region isp to anothee fast.. but from what I reading, its probly just last 3 digits changing right? Or abusive IP change, I guess (Well if you have ten adresses a day or something like that, it surely could be surpicious…). I also thought about VPN and the risk of having several adresses in a week, I won’t change as many time as it does. In fact, the game makes me lie… The last two weeks, well, starting from monday to monday I had an adress, then the ISP changes it tuesday, then I had to do it myself because it didn’t recognize it anymore (But it result of two different adresses if you count on PSO2 weeks… From thursday to thursay). This week I didn’t have any problems today and I’ve just played three hours in a row with no problem. So my conclusion about it seems to be “It will happen when it will happens, if of course it happens”. What is more strange is why it doesn’t recongize the adress all of a sudden and forces to reboot everything to get an new and right adress… But it’s not the first time it does it, too. you answered your own question, 10 mins is way too long. People ran VH for 2 min runs at best, 10 runs = 200 cubes. XH 2 runs for how many cubes? all people can do is wait and see. if SH is nerfed goodbye maga, dead mpas. 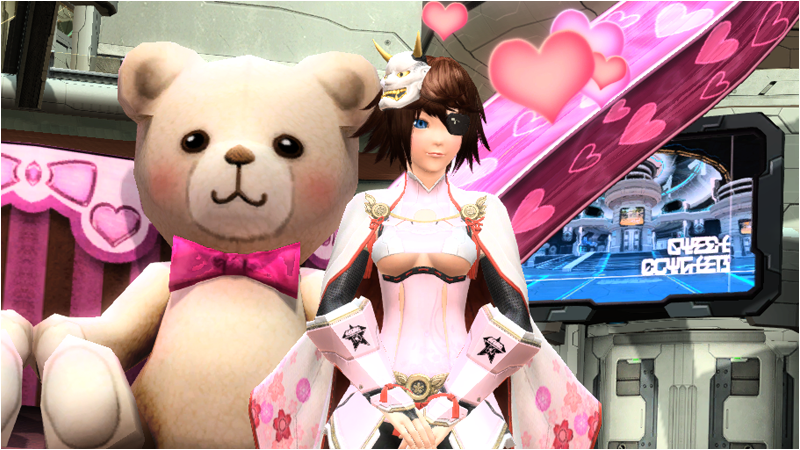 trade them for bags of Dudu success rate +30% items or make some meseta from photon spheres and furnitures. I often trade them off to prevent the second stack(over 999cubes). I just started playing about a week ago and got to do the event twice on hard mode. The drops were nice and all but I can’t even use half of them yet and looking at player shops, they were considered total junk. So the only people I can see getting affected by this change are… the folks in higher difficulties getting even worse rates on their stuff now and any future noobs like me who will now have to work even harder to get gear that’s trash compared to what everyone else has. Maybe I’m lacking perspective due to being a total nub with this game right now, but I really don’t see how this change helps ANYONE or fixes ANYTHING. At all. in the grand tradition of MMOs, the only thing it “helps” is a developer’s defective ideas about achievement. That’s so true! I remember when i started playing serious PSO2 14months ago (even though i had the game since it came out 2and half years ago) and had to play VH to get my 1st 10* and was like lv50+! People now hunt for 12*/13* weapons so yea it’s not a bad thing for me if new players gets their 10*s on Hard mode! I don’t feel cheated cause i had no chance to get any 10* when i was playing Hard! I’m actually good with that! Makes people wanna play more and try to get better stuff imo! That means more potential premium buyers for sega but meh! Sega logic “let’s chase away the rest half people that have remaind to play this game”! Already most ships seem to have lost a lot of people! Wonder how is gonna be next year this time! Read the explanation more carefully. Highest difficulty was actually buffed up appropriately, Super hard was unchanged, while difficulties with inappropriate rewards were nerfed to prevent overleveled people to farm the location they’re not supposed to. Some time ago you had to rely on either luck to get a good 10star or stone weapon that required lots of grind, because even tenstars were a rare sight. Today you can easily buff up any weapon, actually some of the 7-9 stars are viable, and 10+ rares shower from all possible places. 11stars on very hard? Ridiculous. How about once in a blue moon in a week long extreme mode farming without means to buy it? Notice how people still complain about nonsense that wasn’t even a thing just recently? Don’t be like panicking tryhards that got deprived of their easy farm spot and bragging rights for killing magatsu in one minute. Its the same people are leaving XH if you don’t break knees fast enough for them.